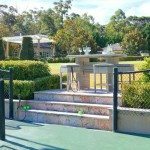 The fresher and more inviting your outdoor space looks this summer, the more likely you, your friends and family will want to spend some time there. It’s easy to let that space go throughout the year as the weather keeps us trapped indoors and under blankets. 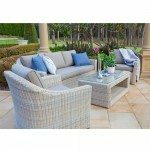 Now is the time to invigorate your outdoor space with some fresh and light furniture and accessories. This way, you and your family can soak up that fresh air and vitamin D every day of the week during summer! A beautiful daybed or a hanging chair for lazy afternoons helps to create the atmosphere that lures you out of your house and into your garden with a good book. It also encourages you to invite your friends so they can laze about in the peaceful atmosphere too. Good seating will freshen up the space and be super comfortable too! Lighting doesn’t need to be anything fancy. Candle lanterns, fairy lights, tiki torches and more can create a great vibe, depending on what kind of look you want. Watch your backyard transform as the sun goes down and the lights go on. Just keep the lighting within the style theme of your backyard. If your outdoor space isn’t looking too green, consider adding some low maintenance plants around the area. Succulents are becoming increasingly popular and can be planted almost anywhere with little maintenance. Vertical gardens full of fresh herbs are also great if you plan to use pick them and use them straight on your barbeque meat. Various sized pots and hanging pots also create a unique style. Nothing says style like a brilliant, custom designed outdoor kitchen. With barbeques, smokers and more, the choice is yours to create a look that is both sleek and extremely functional. Choose from built-in barbeques and fridges to customise your look. 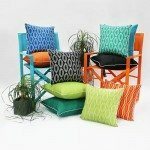 If you’re looking for an instant facelift for your outdoor area, then cushions are the best way to do it. Pop some on your outdoor furniture. Keep them bright and colourful and they will give your outdoor space the pop it needs. Make sure you have the most innovative products that are made with style. Still looking to get the best outdoor products? Shop Now or contact the team at Heat & Grill Melbourne, that stocks a wide range of Weber BBQ’s, Smokers, Grills, Outdoor Furniture and Outdoor Accessories.